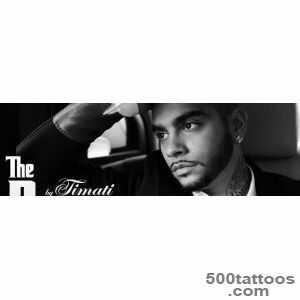 Timur Yunusov , known around the world as the rapper Timati , who was born in Moscow on August 15, 1983 . With Jewish and Tatar roots , Timur in his childhood began to show their creativity . As the eldest son of an influential businessman , Timothy virtually never been discriminated against in all kinds of endeavors , and freedom of action . 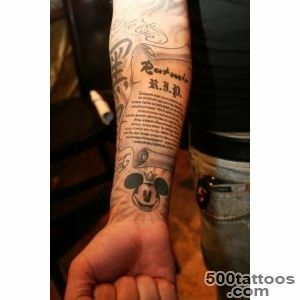 In part ,talking about it and tattoos Timothy . Tattoos in Russian show business is considered to be something antisocial . The representatives of creative professions , the more stars rank , destined to be trendsetters , so many are afraid to expose your body to life changes . Timothy , on the contrary ,I decided to go against the system and caused a number of tattoos on his own, without a doubt a beautiful body that definitely deserves to be called the most tattooed star of the show - business. 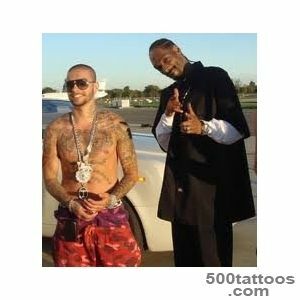 The first tattoo Timothy appeared in Los Angeles , where it actually originated incentive to perform rap and image in general .To this day, Timothy does not stop there , not only in work but also in the decoration itself. Now he's covered in tattoos more than 70 % , and does not believe it is the Chapel . 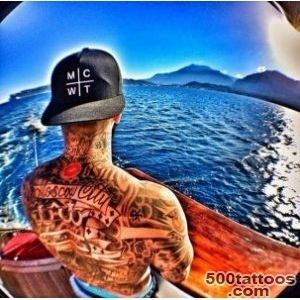 - I am convinced that tattoos existed among the ancient peoples ,as a way to protect against evil and supernatural forces . They definitely help to repel the evil eye and negative energy ! And me , Timothy tattoos serve as a protection shield , mirror , I feel great and I know just the skin ! At concerts, I always have to feel not only positive and good power , but also negative, envy , malice . People-then come to the concerts is always different - and there can not do without protection ! - I have always considered the army an extra life benefits system. Upon learning of the decision of doctors , I came home with a happy smile . And my mom said to me then : "Although there are your tattoos come in handy !" 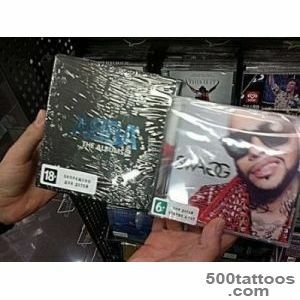 - On the back of the skull with a microphones and «The Boos» inscription .- On the upper back «Moscow City», Timati for tattoo reminiscent of the beloved city . - On the hands «Black Star», a reflection of who , in fact , sees himself in this tattoo Timothy . - On the right hand - a portrait of Martin Luther King as a symbol of freedom and equality ( Martin Luther King was the first fighter in the history of racism ) . -on the right hand inscription - "I have a dream" - means " I have a dream ." - On the chest - a dove with the words "Leave me or love me" - « Love me or leave me ." "I dont know,why people my tattoos cause of such intense interest . Too many , I see myself doing the same ... This is not entirely correct , because I pick up each image individually for themselves . Each line or phrase carries a certain symbolism , my symbols . It will soon be ready to tattoo my biggest of all.That's such a gift to myself for the New Year gave . "